Emily Levin, principal harpist of the Dallas Symphony Orchestra, joins guitarist Colin Davin for a compelling program of music by Maneul de Falla, Maurice Ravel, and Will Stackpole. The guitar and harp are distant cousins in the plucked-string family, and the affinity between the two instruments allows for a seamless collaboration. Music Appreciation Society invites you, your family, and friends to Baur’s for this special Monday night Salon event. 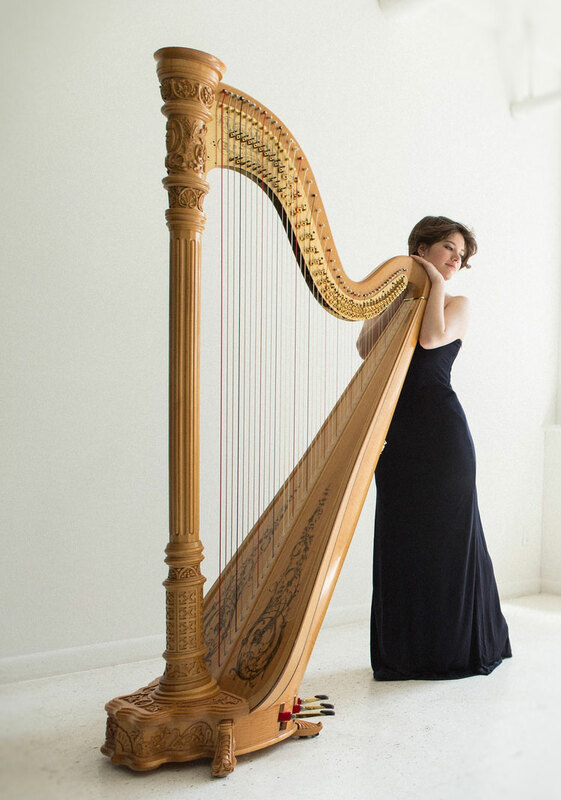 As a soloist, Emily Levin has performed at Festspiele Mecklenburg-Vorpommern in Germany, the World Harp Congress in Ireland and the Netherlands, and with the Jerusalem Symphony Orchestra. Performances closer to home include the Colorado Symphony, the Louisiana Philharmonic at the 2015 American Harp Society Conference, the Colorado Chamber Players, and Indiana University and the Aspen Music Festival as the harp concerto competition winner. She was a Harp Fellow at both the Aspen Music Festival and the Tanglewood Music Center, and a Guest Artist of the USA International Harp Competition concert series. A passionate performer of new music, Emily is a core member of the New York-based EnsembleÉchappé, and has with worked numerous composers, including Steven Stucky, John Harbison, David Fulmer, and Sean Shepherd. Emily has recorded works by Charles Wuorinen, Louis Karchin, and David Dzubay, and received a Recognition Award by the Indiana University Composition Department for her collaboration and performance of new music. She is currently co-curating a concert collaboration between the Juilliard harp and composition departments. 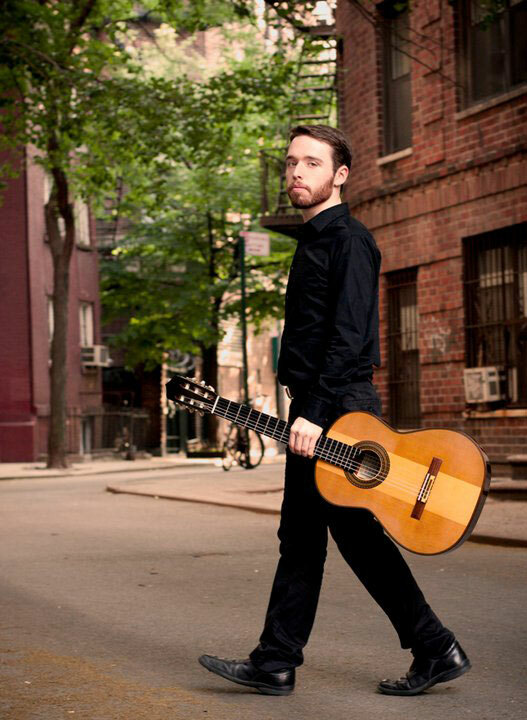 Hailed as “the real thing, a player with a virtuoso’s technique, a deeply expressive musicianship, and a probing imagination” (American Record Guide) and for his “precision, musical intelligence and passion” (Cleveland Classical), guitarist Colin Davin has emerged as one of today’s most dynamic young artists. Highlights of the 2016-17 season include concertos with the Champaign-Urbana Symphony Orchestra, Elmhurst Symphony, and Orchard Park Symphony; collaborations with Sharon Isbin at the Aspen Music Festival and the Cavani Quartet at the Cleveland Institute of Music; and solo recitals in Dubai, Kabul, and across the United States. Davin appeared as a featured musical guest on the Late Show with David Letterman alongside soprano Jessye Norman. He has performed at venues across the world, including Carnegie Hall, Alice Tully Hall, the Metropolitan Museum of Art (on historic instruments from the museum’s collection), New York Philharmonic Ensembles, the ELLNORA Festival at the University of Illinois, the Alhambra Palace in Granada, Spain, the Paris Conservatoire, and venues throughout the United States. His collaborators include GRAMMY Award winning sopranos Estelí Gomez and Dawn Upshaw, conductor and pianist Philippe Entremont, and Pulitzer Prize winning composer Caroline Shaw. Colin Davin holds a Master of Music from the Juilliard School, where he studied with Sharon Isbin; a Bachelor of Music from the University of Southern California with William Kanengiser; and preparatory studies at the Cleveland Institute of Music with Jason Vieaux. He holds numerous top prizes in international competitions, including the Guitar Foundation of American International Solo Competition. He currently serves on the conservatory faculty at the Cleveland Institute of Music. Music Appreciation Society is very proud to present Emily Levin & Colin Davin. Their repertoire embraces the classic association of Spain with the guitar and France with the harp, while also seeking new ground in a dynamic, virtuoso work composed for them by New York-based composer Will Stackpole. This strings event is for one night only in Baur’s acoustically fantastic Salon.